Samara’s top 3 tips to ditch the tummy fat and get rock hard abs! 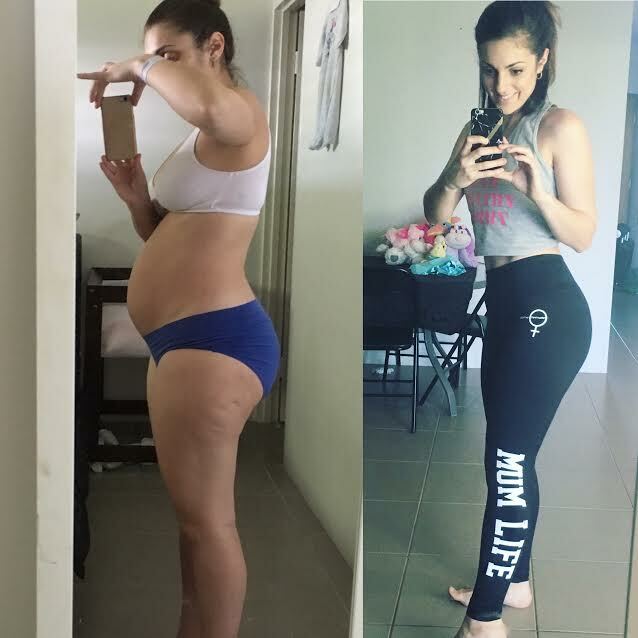 Mum of two Samara’s transformation is UNREAL! 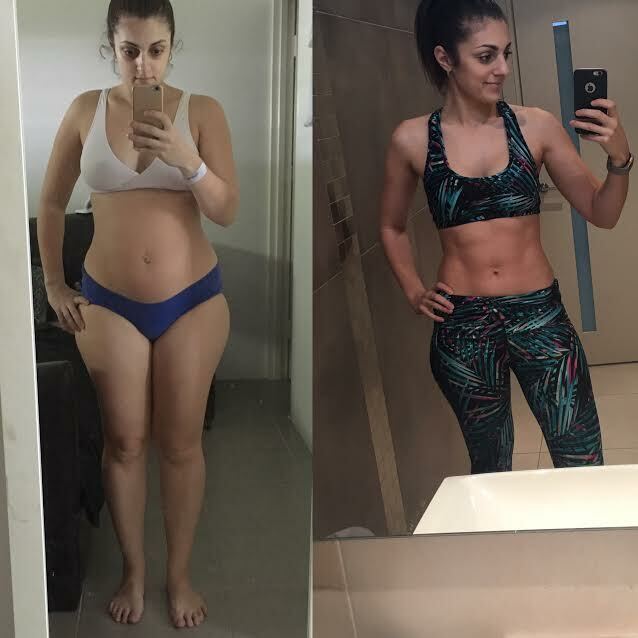 For anyone who wants to know how she achieved those hot abs, Samara has lost 17kg by following the 28 Day Weight Loss Challenge, and has kindly shared her top three tips that helped her ditch the tummy fat and look and feel like a superstar! Check out her top tips below! Don’t underestimate the power of a good walk. Once your fitness levels increase, try adding in a bit of a jog. “I started walking within the first few weeks of having my second daughter. The fresh air was good for everyone. Slowly I increased it to a jog every now and then, and now I try to see how long I can run for. I can feel and see the difference in my mid section,” says Samara. Once your fitness levels start to increase, HIIT exercises are great for reducing the fat around the stomach as well as building muscle. The Healthy Mummy’s 28 Day Weight Loss Challenge exercises are HIIT based. They are quick but effective and definitely get the job done! 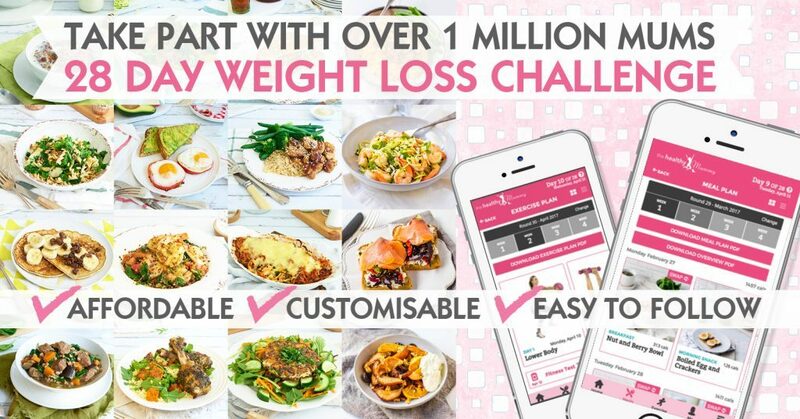 Sign up to the 28 Day Weight Loss Challenge to get access to the exercises on the App. Mix it up a bit too. Try some normal crunches, add in some twisted crunches, then throw in some oblique crunches! 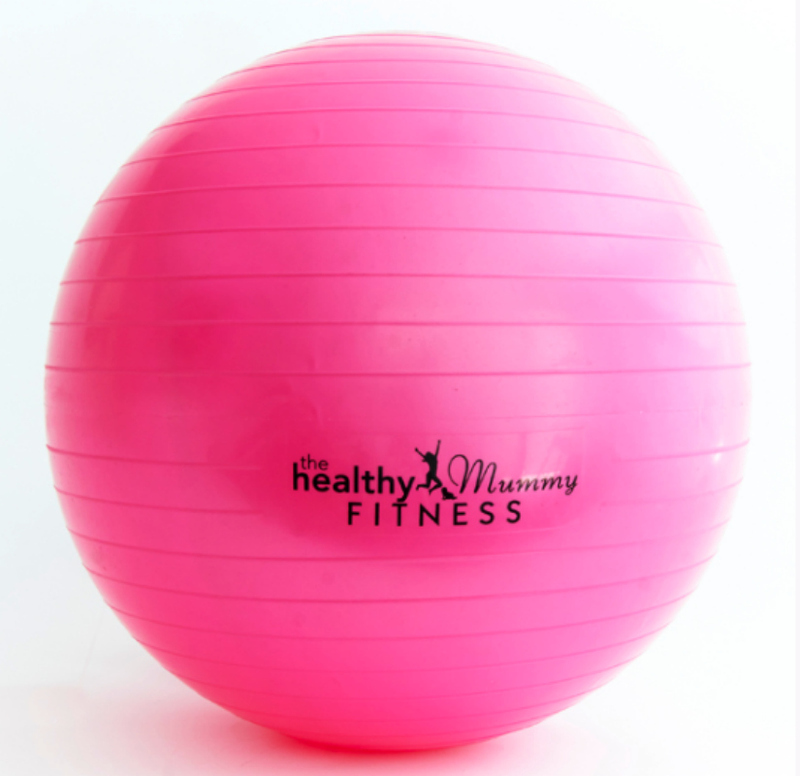 The Healthy Mummy Fitness Ball (65cm) is a must-have piece of exercise equipment! You can work your whole body on the ball. Using a fitness ball helps with core stability, improves posture and strengthening of the back. Purchase yours here. They say that abs are made in the kitchen and they can’t be more right! If you really want to get rid of the fat or bloat around the tummy, then make sure your food is clean! Starving yourself will not work! The meals in the Challenge Hub are filled with perfect well-balanced recipes that will provide your body with the nutrients and energy that it needs! There’s no need to cut out your favourite foods, but rather swap them for a healthier alternative. Instead of refined carbs found in white bread, pasta and white rice, switch to sweet potato, brown pasta or quinoa. Stay away from soft drinks and added sugar. Sugar is a major contributor to belly fat! Don’t eat to FILL your body, but rather to FUEL your body. 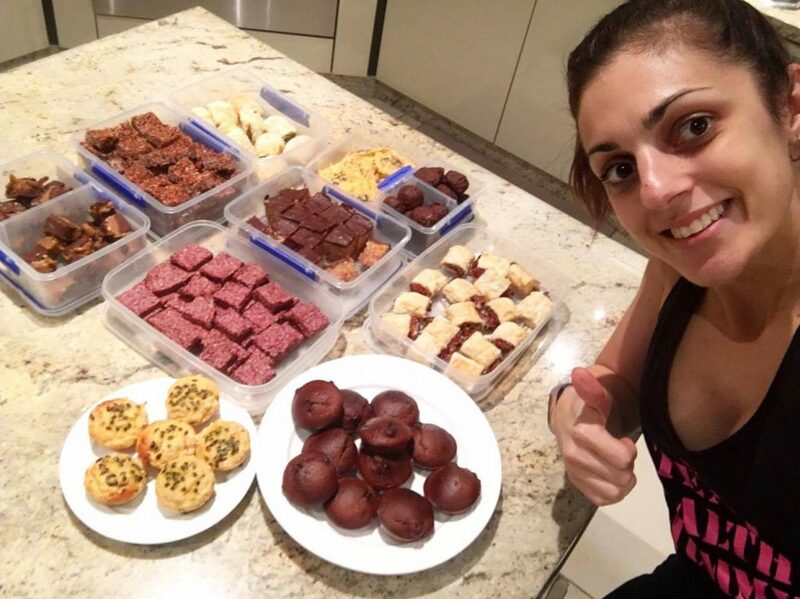 Check out some top meal prep tips here! And here’s one for free! No matter what, always remember that it takes time and hard work. You won’t get a flat stomach and abs over a week. You will need to be persistent and your hard work will all pay off in the end! Great tips Samara, you’re an inspiration! Join the 28 Day Weight Loss Challenge! 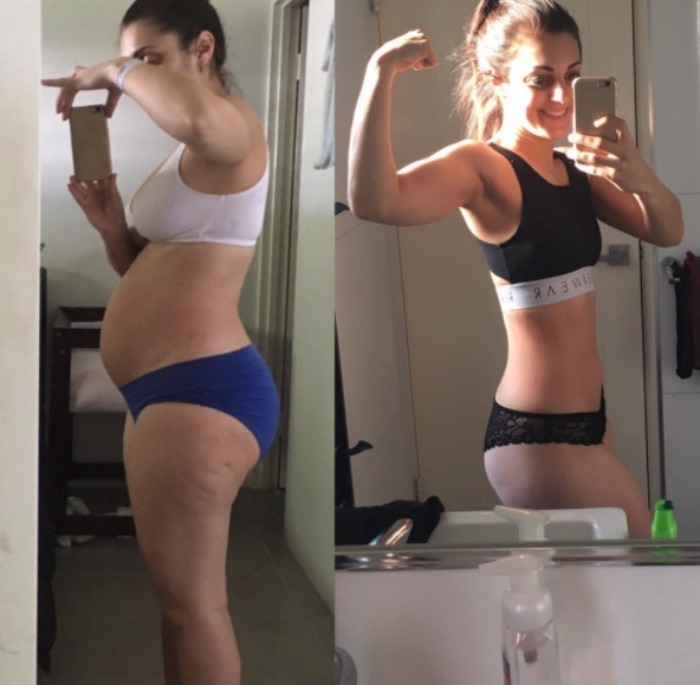 If you are inspired by Samara’s ab-tastic pics and want to take charge of your own health and weight – then join our 28 Day Weight Loss Challenge TODAY.